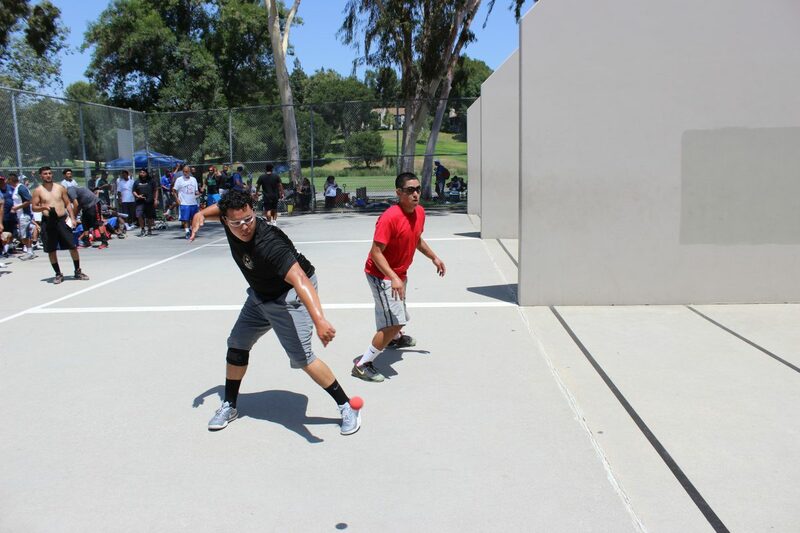 Fullerton, CA, WPH Press, 6/4/17- Following an outstanding day of junior and WPH Outdoor pro handball on Saturday at Craig Park, WPH Outdoor pros battled for titles and yellow jerseys on the business end on Sunday at the fifth stop of the 2017 WPH Outdoor 6. Four-time defending WPH Outdoor Player’s Cup Champion Juan Santos entered the “A” singles semifinals as the overwhelming favorite to take the “A” singles, but as Saturday proved, anything can happen on the WPH Outdoor tour. Juan Santos entered the semifinal in search of his first title of the WPH Outdoor 6 season and 13th overall WPH Outdoor singles title. After dominating his two opponents in Saturday’s opening round, Santos continued to cruise in Sunday morning’s semifinal, dispatching first-time WPH Outdoor singles semifinalist Pedro Carmona in two games to advance to the final. 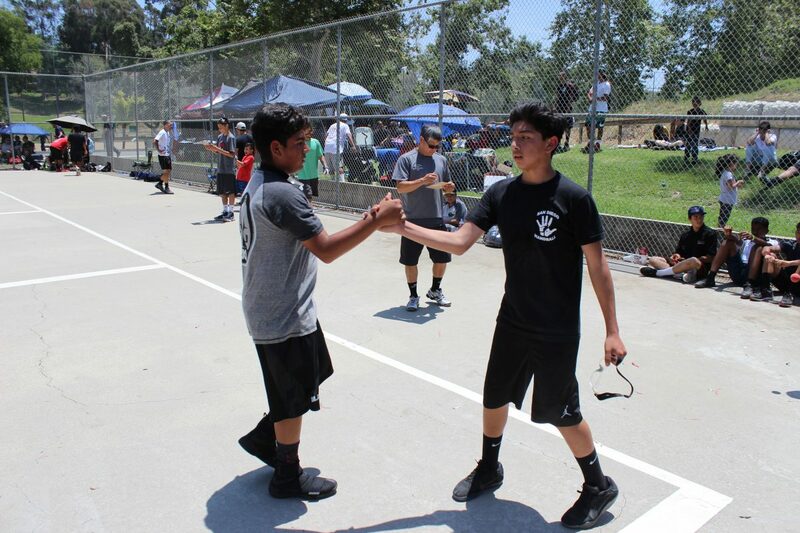 Josue Tellez survived three consecutive tiebreakers in 95 degree heat on Saturday, including a dramatic 15-13 tiebreaker win against #3 seed Alfredo Morales in the quarterfinals to advance to Sunday morning’s semifinal. Santos faced Cinderella Story Edgar Vizcaino, who won three matches as the #18 seed on Saturday. Tellez played his best match of the event against Vizcaino, winning in two games for the first time in the event to advance to his second WPH Outdoor final in less than a year. “Josue just seemed to be revitalized today and playing a lot better (than yesterday,” stated Fullerton tournament director Tom Flores. Santos continued to display his prodigious talents in the final, never allowing Tellez into the match and clinching his 13th WPH Outdoor singles title. Santos avenged his loss to Tellez from the 2016 Simple Green U.S. Open, trouncing the “Comeback Kid” in the most lopsided final of the season. 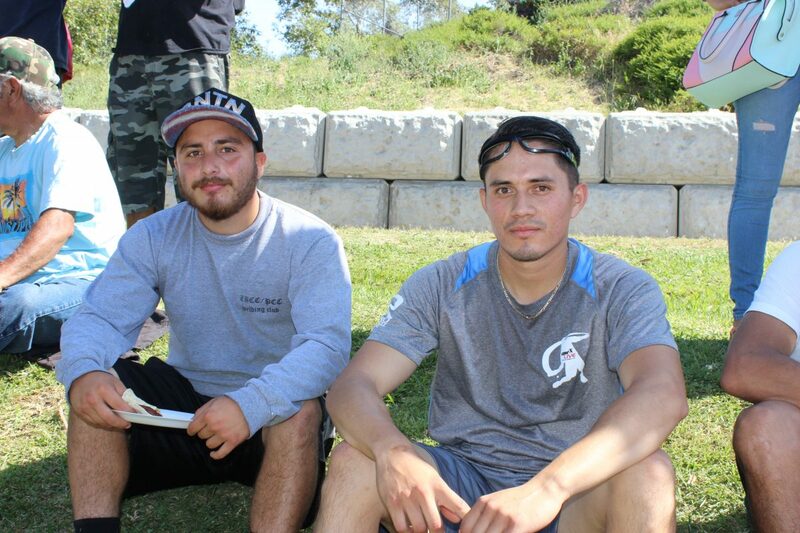 Samzon Hernandez channeled his frustration from losing in Fullerton’s first round into doubles, where he and partner Tony Vasquez dominated their three opponents in the bottom half of the draw to advance to the final. 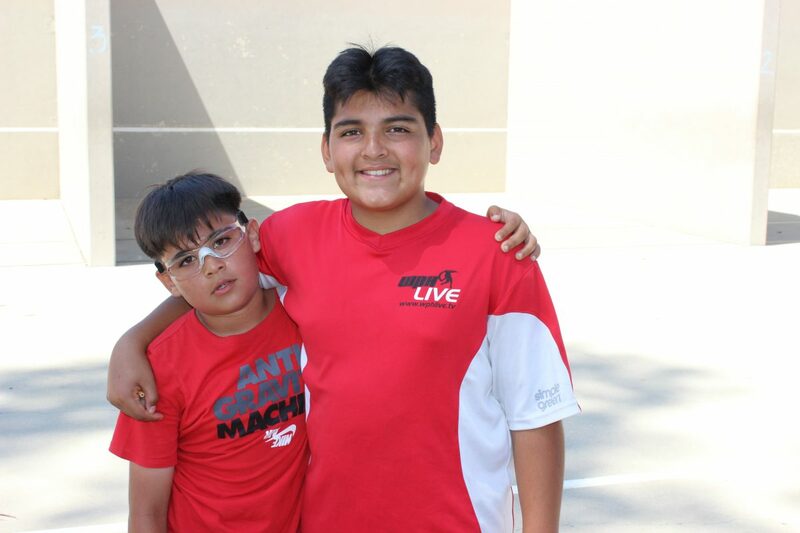 Top-seeded Juan Santos and Alfredo Morales were nearly as dominant in the upper bracket, dropping just one game in their three matches en route to the final. Santos and Morales were comprehensive in the final, controlling the action and securing yellow jerseys and a “Santos Slam.” “Santos and Fredo are the top doubles team in the game at the moment and they proved it today, simply overwhelming Hernandez and Vasquez,” stated Flores. Thank you to WPH staffers for an excellent event and special thanks to all of the juniors who participated in the event and JR WPH event directors and WPH MVP’s Alexia Lozano and Alley Cat. 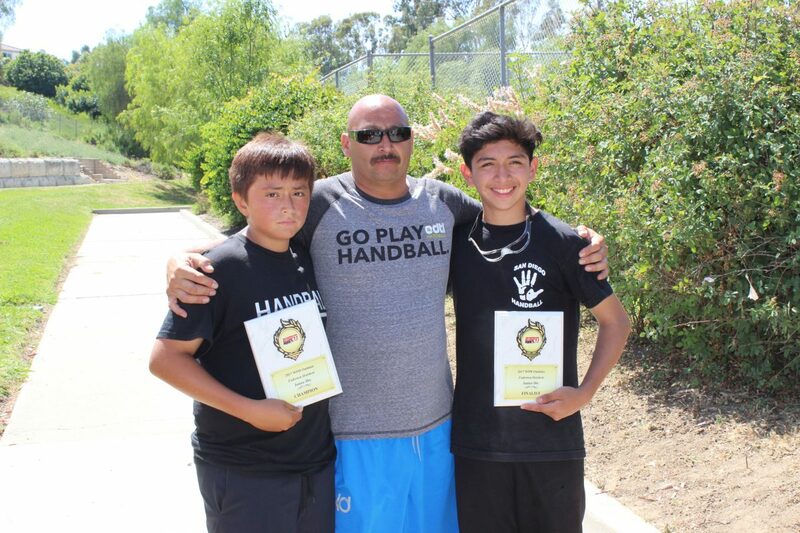 Fullerton, CA, WPH Press, 6/3/17- Fullerton’s Craig Park welcomed more than 40 junior handball players and the WPH Outdoor top pros for the fifth stop of the 2017 WPH Outdoor 6 season. JR WPH held a Mega Clinic and Skills Competition for the more than 40 junior handball players, with the juniors taking the court following the clinic for age-bracket singles play. WPH Outdoor pros competed in singles and doubles on Fullerton’s opening day, with the top stars seeking valuable WPH Outdoor ranking points in the Race 2 Vegas. 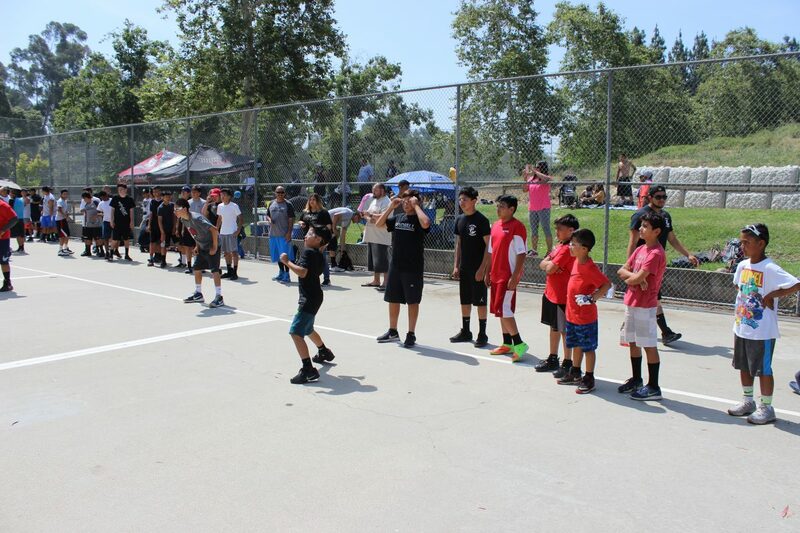 JR WPH proudly hosted a Junior Mega Clinic and Skills Competition for the fourth consecutive summer in Southern California, featuring more than three dozen junior handball players learning from four of the top WPH Outdoor pros. WPH Outdoor pros Sal Duenas, Kevin P. Gonzales, Pedro “Hershey” Carmona and Juan Santos split the youngsters into two groups, with Coaches Duenas and Carmona taking half the group and Coaches Gonzalez and Santos taking the other half. After watching demonstrations from the top pros, the youngsters practiced their kill shots with both hands, followed by service returns and singles and doubles points with the pros. Craig Park produced several of the biggest upsets and incredible finishes of the WPH Outdoor 6 season, with each of the top four seeds bounced before the semifinals. When the dust settled, the #5, #8, #11, and #18 seeds were still standing in the semifinals. 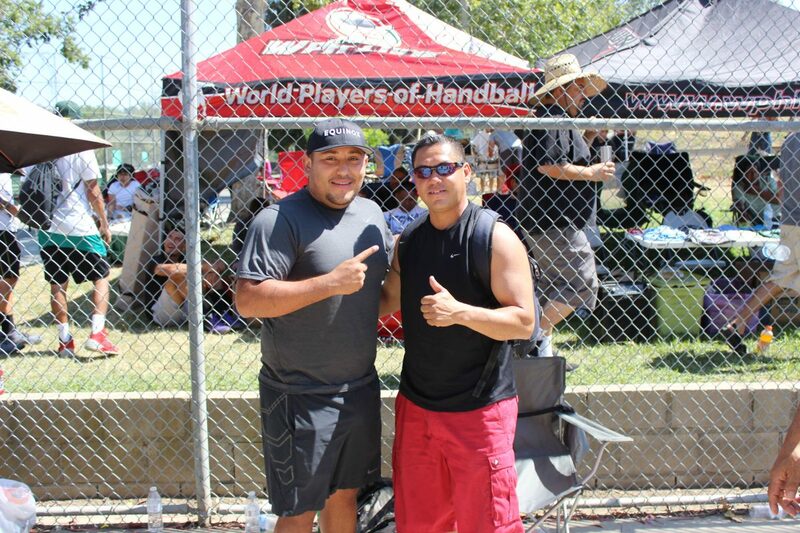 Top seed and four-time WPH Outdoor 6 finalist Samzon Hernandez exited the event in the round of 16 at the hands of Kevin P. Gonzalez, falling in three games in a stunner. “It just seemed like Kevin was in control the whole match,” stated top 10 WPH Outdoor pro Sal Duenas. 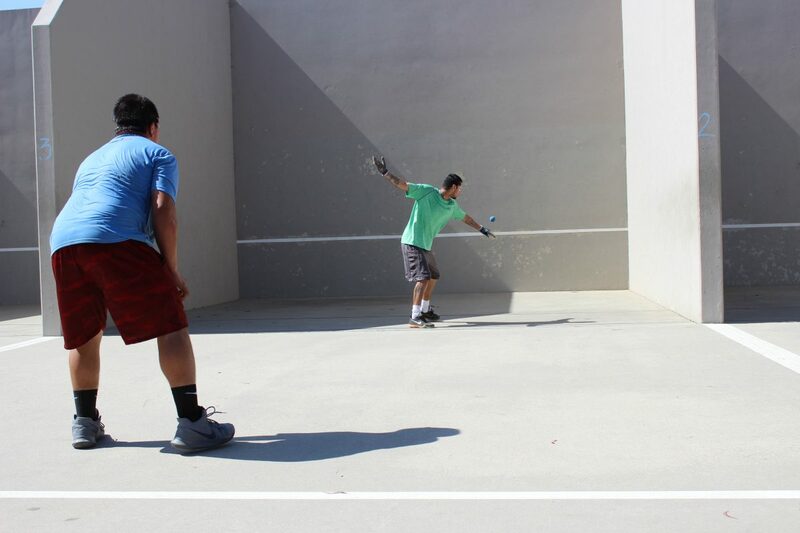 Gonzalez was unable to capitalize on his momentum, losing in the quarterfinals in two games to a white hot Pedro Carmona. Carmona quietly goes about his business, but there has been nothing quite about his results in Craig Park, as “Hershey” made his first WPH Outdoor singles semifinal of the season. Four-time defending Player’s Cup Champion Juan Santos entered the event as the #5 seed, having only played two event this season. Santos made quick work of Miguel Ochoa and Vic Duran en route to the semifinals, looking to be every bit the player that has dominated the WPH Outdoor tour since 2014. 2016 Simple Green U.S. Open finalist Josue Tellez entered Craig Park as the #11 seed but by no means the 11th best player in the draw. Tellez faced a tough road to the quarterfinals, needing to go three games against Steven “Bambi” Bermudez and Sal “Wiz” Duenas. 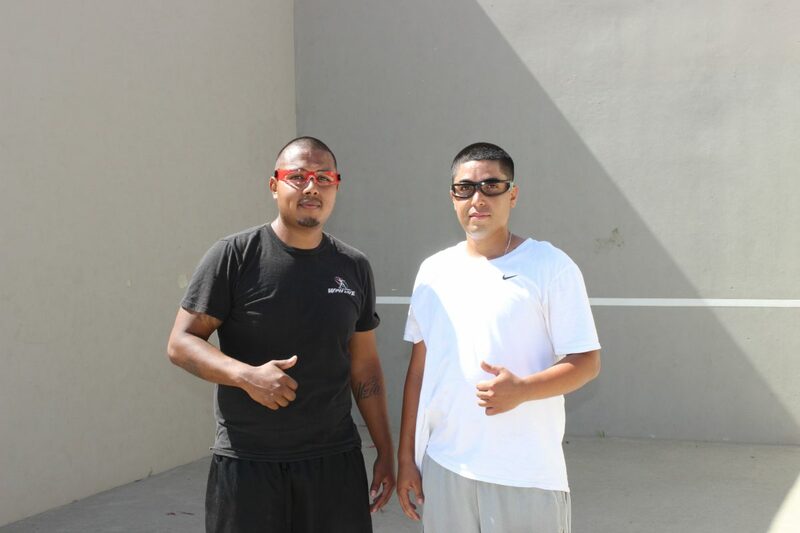 After six games of grueling handball, Tellez would face the relatively fresh #3 seed and 2017 Salt Lake City Aces champion Alfredo Morales. Tellez survived a first game comeback by “El Hombre” but was pushed to his third consecutive tiebreaker. Tellez and Morales staged the game of the quarterfinals, with both diving on the concrete and ending rallies with seemingly unbelievable shots. Morales’ shirt looked like a baseball player sliding headfirst into second, while Tellez took every opportunity to sit in the shade to catch his breath. Late in the third game, Tellez led 13-9 and had the 14th point within his grasp with a right-hand setup at the short line. Tellez was unable to convert the plum, handing Morales the serve at 10-13. Morales reeled off three consecutive points to tie the game at 13. With all of the momentum, Morales served the ball out, handing Tellez the serve and match point. A furious rally ensured, with both Tellez and Morales on the ground twice. Ultimately, it was Tellez who found the bottom board, advancing to the semifinals in a classic. #18 seed Edgar Vizcaino, known as “Magic Hands,” faced an extremely difficult draw in the bottom of the draw. Vizcaino defeated former WPH Outdoor champion Brian Medina in his opening match, then stunned #2 seed Chava Cordova to advance to the quarterfinals. Vizcaino would faced Jose Villegas in the quarterfinals, better known in Southern California as “The Giant Slayer” for his wins against the top players. After splitting the first two games, Vizcaino took control in the third, building a 14-6 lead with left-to-left driving pass shots and power kills. Vizcaino would need the eight-point cushion, as Villegas scored three consecutive points but fell short facing his fourth match point, as Vizcaino advanced. WPH Outdoor Player’s Cup: The World Player’s of Handball’s WPH Outdoor Player’s Cup Series was formed in 2012 to showcase the game’s best 3-Wall Big Ball Stars. Since 2012, the WPH Outdoor Player’s Cup Series has hosted 34 events in California, Mexico, Utah, and Nevada, building the stage for hundreds of top big ball stars to compete against one another in professional, competitive and family-friendly events that promote sportsmanship and community spirit while inspiring the next generation of players. The WPH Outdoor 6 season features events in Southern California, Utah, and Nevada. All WPH Outdoor events host Junior WPH clinics with WPH Outdoor Elite players serving as mentors and coaches and junior tournament divisions starting at nine-and-under for boys and girls.